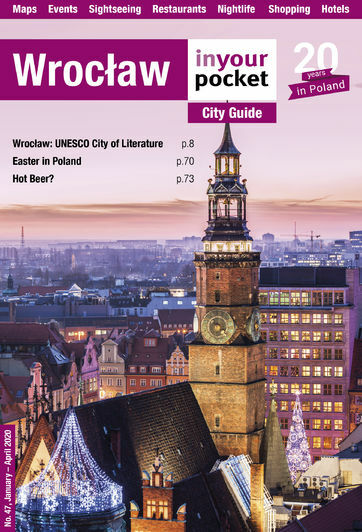 While Poland is increasingly becoming less discernible from other western European countries (in a mostly good way), there are still certain local traditions and laws which the foreign visitor should be aware of. This is In Your Pocket's run-down of all the helpful things everyone should know when visiting Poland. Poland has a temperate climate with hot summers and cold winters. Seasons tend to be more pronounced than in the west and temperatures can get down as low as -20 C in winter and as high as +30 C in summer. Below is a graphic showing average temperatures and rainfall. If you are travelling within the EU those over 18 can now take 10 litres of spirits, 90 litres of wine and 110 litres of beer. Most countries will not allow more than 800 cigarettes from Poland. If purchasing art or books, you need to consider their age and value. In order to leave the country, art must be less than 50 years old and under a certain value (varies depending by type; photos under 6,000zł, other art under 16,000zł, for example); if both conditions are met, the gallery curator can then provide you with a 'zaświadczenie' (permission document) describing the artwork's price and when and where it was created. If the work exceeds the permitted age and value, you must get permission from the 'Wojewódzki Konserwator Zabytków' (Regional Curator's Office) to take it out of Poland; bear in mind that this process will likely take 2-3 months. Books must be less than 100 years old and under 6,000zł in value in order to leave the country; if neither applies, permission must be obtained from the National Library. Obviously, problems arise when purchases are made at bazaars or flea markets where vendors cannot provide the necessary documents; if there is any doubt about the value or age of your purchase, we suggest you visit an 'Antykwariat' (antiques dealer – see Shopping) for advice. Electricity in Poland is 230V, 50Hz AC. Plug sockets are round with two round-pin sockets. Therefore if you are coming from the US, UK or Ireland you are definitely going to need a plug convertor. The best place to pick these up is at home, though if arriving without one, try your luck with hotel reception; they should be able to point you to an electrical store if unable to provide a convertor themselves. Poland covers an area of 312,685 square kilometres and is the ninth biggest country in Europe. It borders the Baltic Sea (528km) and seven countries, namely Belarus (416km), Czech Republic (790km), Germany (467km), the Russian enclave of Kaliningrad (210km), Lithuania (103km), Slovakia (539km) and Ukraine (529km). Wrocław has an area of 292.82 square kilometres, and is the largest city in Lower Silesia (Dolny Śląsk). The river Vistula (Wisła) is Poland's longest river at 1,047km and flows through Kraków and Warsaw before reaching the Bay of Gdańsk (Zatoka Gdańska). Wrocław sits on the Oder (Odra) River which flows 854km through western PL and forms 187km of the Polish-German border before reaching the Baltic at Szczecin, PL. The highest peak in Poland is Rysy (2,499m) in the Tatra Mountains along the country's southern border with Slovakia. Poland is in the Central European (CET) time zone (GMT+1hr). When it’s 12:00 in Wrocław it’s 6:00 am in New York City, 11:00 in London, 12:00 in Paris and Berlin and 19:00 in Tokyo. Polish summer time (GMT+2hrs) starts and ends on the last Sundays of March and October. In the case of an emergency, mobile phone users should dial 112 to be forwarded to the police, fire department or ER. From a landline or public phone dial the following: Ambulance: 999; Fire: 998; Police: 997. English, German and Russian speakers have separate lines specifically designed for foreigners in distress: +48 608 599 999 or +48 22 278 77 77. Both numbers can be reached from a mobile phone or a land-line and are hotlines in case you run into any troubles during your stay. The lines are active year round with later hours during the high-tourist season. If you've woken up to find you've got a raging headache, a swollen foot you can't put weight on and vague memories of some kind of calamity, we suggest you sort it out by calling a private clinic, thus avoiding the hassle of the notoriously long queues in Polish hospitals. Further help can be provided by embassies and consulates, a list of which can also be found in our Directory. If it's a financial emergency your hopes will rest on a Western Union money transfer. Most banks and many exchange bureaus (kantors) can now carry out such transactions, just keep an eye out for the Western Union logo. Internet access is typically free and widely available in Poland, with practically every café and restaurant offering wi-fi to customers with laptops and smartphones. Getting on the network often requires nothing more than a password, which you can request of your favourite bartender or barista with a simple, “Poproszę o hasło do internetu?” If you don't have your own gadgets we offer a few Internet cafe options below. In general Wrocław is safer than most West European cities, and visitors are unlikely to face any problems if they simply employ common sense. Perhaps the biggest danger in Wrocław is posed by groups of drunken football hooligans who can be heard coming a mile away and easily avoided. Petty crime does exist, so don't leave your belongings laying around while in public places (like bars), and be mindful of pickpockets. Robberies on overnight trains are also not unheard of, especially on the routes connecting Wrocław with Prague and Berlin; book a couchette or sleeper cabin and keep an eye on your things. Staying safe and on the right side of the law is significantly easier for tourists who accept that Polish beer and vodka are rocket fuel and drink accordingly. If you’re determined to make an idiot of yourself then make sure it’s not in front of the law. Since the budget airline boom, plenty of geniuses - from those in Chewbacca costumes to complete prats who’ve thought it’s perfectly acceptable to drop their trousers and urinate in a city centre fountain - have tested the patience of local law enforcement, which is now decidedly low so don’t push your luck. Those who do may well be treated to a trip to the drunk tank, where you can expect a strip search, a set of blue pyjamas and the company of a dozen mumbling vagrants; not to mention a hefty fine. Other easy ways for tourists to cross cops is by riding public transport without a ticket, and (silly as it may seem) jaywalking. If you are from a country which doesn’t have or respect jaywalking laws, you'll be surprised to see crowds of people standing obediently at a crossing waiting for the lights to change. The reason for obeying this seemingly silly rule is the fact that the local city police (Straż Miejska) will quite freely give you a 50-100zł fine for crossing a road at a place where no crossing is marked or a 100zł fine when the ‘walk’ light is red. And don’t think you are exempt by being a foreign visitor. You are subject to the law too and your non-residency means you will be forced to pay the fine on the spot. Prices in Poland are still fairly competitive despite increases over the several of years, particularly in the price of cigarettes. Here are some typical everyday products and prices. Currency can be exchanged at airports, hotels, banks and anywhere with a sign proclaiming 'Kantor'. Kantors will often provide better value than the banks in your home country or the ATM although for obvious reasons be very wary of Kantors in the airports, bus stations and close to tourist sites. Shopping around will reward you with the best rate. For a list of kantors in Wrocław that won't rip you off, see Directory. Since EU ascension and becoming a favoured tourist destination, prices in Poland have been on the rise, making the country less of a bargain than it was five years ago. Having said that, however, prices for food, drink, cultural venues and transport still remain comparably cheap in contrast to Western Europe. A ticket to the cinema typically costs 15-30zł, while admission to most museums usually costs between 5zł and 15zł. Thinking of paying for your tram ticket with one of the 100zł notes in your pocket, though? Think again. Small shops, newsagents, public toilets, and even the occasional restaurant or bar, will often refuse to break a large note for you. As annoying as coins can be, they are essential if you intend to pay in cash, so hang on to your change - you'll need it. Although well behind in terms of service and properly stocking the register before opening for business, Poland is ahead of the curve when it comes to cashless transactions. Credit or debit can be used just about anywhere (except for obwarzanki vendors and outdoor markets). Those making purchases with a credit card whose base currency isn’t Polish złoty, should beware however (and unless you’re Polish, this probably means you). If you are asked by a merchant, wait staff or on the card reader itself whether you want to be charged in your home currency or PLN, always choose złoty. Why? Because the companies that process credit card transactions typically tack on fees for converting the money, and then do so at a lousy exchange rate. Depending on the size and number of your purchases while in Poland, the cost can really add up. Visitors should be vigilant and monitor receipts when paying with a credit card - should you be charged in your card's original currency, don't be afraid to insist on having your purchase refunded and charged again in złoty. With a full calendar of religious holidays, seasonal traditions and name days, it seems there's always something being celebrated here in Poland. Not to be confused with unofficial holidays like Women's Day (March 8th), national holidays that are still regular work days like the Day of Pope John Paul II (October 16th), or the rash of spontaneously decreed days of national mourning that occur each year, below we list Poland's annual non-working public holidays, during which you shouldn't be surprised to find all shops, plus many bars and restaurants, bolted shut around town. A bureaucratic nightmare buried under paperwork riddled with illegible stamps and seals, there is no indication that Poland's postal service - Poczta Polska - will be automated or computerised during our lifetimes. There can be no doubt that the post office is one of the most frustrating places to be a foreigner in Poland, as you're guaranteed to not understand a damn thing happening there. Your best ally is the person in line next to you; if there's one person in the room who speaks not a word of English, it's the qualified clerk at the service window. Also, don't expect any signs to feature English translations, though all paperwork has been mystifyingly translated into French (and only French). When you get to the head of that insufferably long queue, don't be surprised to be sent to another or back to the end, paperwork in hand. The declaration that your nicely wrapped parcel is somehow 'unacceptable' is another popular reason why you might find yourself ready to 'go postal', though there are many others. If sending something of any monetary or sentimental value, please, make sure you do so by using priority mail or better; magic word: 'Priorytet.' Choosing the cheapest overseas option available will ensure your package is opened before it arrives and the contents may or may not be removed. We're not exaggerating. There are many post offices around Wrocław, including on the market square. The enormous satellite crowned edifice at ul. Krasińskiego 1 is certainly the largest and most incomprehensible (it's also home to the Post & Communications Museum). Good luck, gringo. Generally speaking, toilets in Poland come marked with a circle for women, and a triangle for men. Although the habit is gradually dying some restaurants and bars still charge a nominal fee for use of their facilities – no matter how much cash you’ve already spent in the establishment. This is a practise also used in train stations and most public conveniences. Keep small change handy. According to the Ministry of Foreign Affairs, 95% of Poles are Roman Catholics. And though that figure is based on baptisms and the number of actual practising Catholics is probably closer to 75% (and falling), Poland remains one of the most religious countries in Europe. For over one thousand years Poland has been a bulwark of Catholicism, fighting against pagan invasions and looking to religion for a sense of social and national unity. When Poland was partitioned in the 19th century, many turned to the Church for solace; during the communist era, underground resistance meetings were surreptitiously held in churches. The deceased Polish-born Pope John Paul II remains a genuine source of pride for all Poles, and is beloved in a way more profound than cynics in the West can understand. Those used to the more easy-going habits of the West may find the Polish enthusiasm for religion a bit unnerving at first, particularly the solemn and opulent processions that occur from time to time and the droves that flock to mass. Tourists should remember while visiting Wrocław's many churches that these aren't museums, but active places of worship to be treated with the requisite respect. Though officially stamped as safe to drink, hypochondriacs and others with a weak constitution may want to avoid drinking Polish tap water; indeed, despite it never giving us any problems, the locals still regularly scold us for drinking from the tap. The antique plumbing in many buildings can also affect the water quality, so to play it safe we recommend you just drink bottled water, which is widely available and inexpensive. Unless you're in a restaurant, that is. Tourists from countries where the right to drink water is a guaranteed freedom may be surprised to find that water is not complimentary in Polish restaurants; in fact it’s downright expensive and comes in a tiny glass that will barely wet your thirst. By comparison, beer is a much better value as you get more than twice as much for only a couple złoty more; such is Poland’s ‘drinking problem.’ If you’re still set on drinking water with your meal, be prepared to declare a preference between gazowana (carbonated water) and niegazowana (still water).